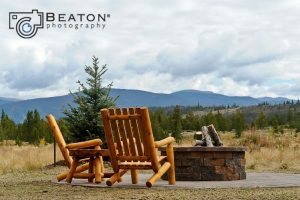 Welcome to Mountain Habitat and today’s post is titled, “3 Steps to Live the Dream in Colorado.” We are a Breckenridge-based realtor and property services company that specializes in real estate in the Colorado Rocky Mountains. If you’re wondering who we are, or how to contact us, then please use our menu links to show you the areas we serve and the opportunities that are present in our community. If you’re a local homeowner already, we can assist you with home valuations and walk you through the steps of preparing a home to be listed. This blog is a short and sweet bit of advice that we’ve come up with to help you narrow down the best place for your mountain habitat. So, we’ll get right to it. These are the 3 steps to Live the Dream in Colorado. It’s the most simple way we can recommend to help you find the right home. Love – The first step is acknowledge what you love doing and dream about. What part of the mountains do you love being near, that allows you to do something you love? Some people love skiing. Other love walking their dogs on a shoreline because they grew up by the water. Others love cooking and entertaining, so a large kitchen and commercial-grade appliances will be required for any home they’re considering. What do you absolutely love doing the most? Got it? Good. Now, we can apply this to the next step. Lifestyle – What kind of lifestyle do you want? A short walk to the lifts, or a secluded retreat that is best for quiet moments? Where do you want to spend the most amount of your time? In your dream, what kind of life do you live? This is what we need to move on to the final step. Location – . If you love skiing and mountain sports, then you might’ve heard how Summit County is known as “Colorado’s Playground.” With world-class ski resorts nearby, you will only have to choose which mountain you should go that morning. Some homeowners may want to be closer to I-70, while others may want be further away. You can choose between large panoramic vistas, or cozy riverside locations with lots of trees. What’s your ideal setting? Once you have at least begun to become aware of these items, we can then work with those variables with you on buying a home in Breckenridge or Summit County. We know and understand that your home should fit with your personality and pursuits. Those are our 3 Steps to Live the Dream in Colorado. We’ve included pages about the local region, and have descriptions of Summit County, Park County, Eagle County and Lake County. Please explore the differences and then get in touch with us to have questions answered. This Blog – Please check back for updates about mountain homes and related community information. Map Search – Use the polygon tool, or radius search, to find listings in a specified area. 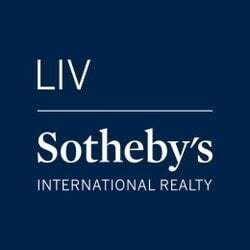 Home Valuation Tool – Find out how much your home is worth. Just a starting point, and you should contact us to get a validated report. Mortgage Calculator – Plan ahead for your expenses and budget. Personal Consultant – Talk to us about current market conditions and local knowledge not found on the web. Featured images in this post courtesy of Kay Beaton Photography.